If you haven’t already noticed, blogging is kind of a big deal. No matter your interest, there’s probably a whole host of people writing informative, entertaining and thoughtful blog posts about it. This is no different when it comes to the student community, who are among some of the most prolific bloggers out there. We have compiled a list of 33 student bloggers and student related blogs which for a variety of reasons, should definitely be followed this year. Take a look at our categories to help find something that best suits your interests. 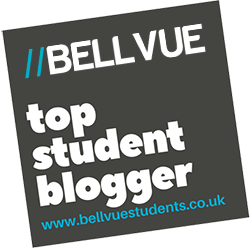 One of the greatest authorities on student living, The Student Blogger is a great platform for all the advice and information any student needs during their university experience. They understand all the trials and tribulations of university life and have all the categories to make your time a little easier. From reviews of the latest cheap supermarket food ranges to current student discounts, from money saving tips to advice for freshers, they’ve pretty much got everything covered. Martin is a graduate who, above all else, believes that the experience of university is one of the greatest in any young person’s life, and who are we to disagree? It’s for this reason he created The University Blog, a platform to offer advice to students to help them get them most out of their experience. Expect posts on why grades aren’t everything, how to make the most of your increasingly expensive tuition and even some slightly more light-hearted posts like ‘When Academia and Pokemon Collide’. If you are concerned about getting the most from university or worried about employment later down the line, this is a great place to boost your confidence. Uni Student Life is pretty much your one-stop-shop for student related fun. They post everything from recent uni-related news to reviews of the latest apps, entertainment features and a really helpful guide designed specifically for freshers. There are plenty of posts for second and third years too, from advice about student housing to posts on graduate jobs. No matter your tastes or age, there will be something for you on Uni Student Life, even if it is just a silly dog video. Student Money Saver should be seen as being as vital to a student as their NUS card. This fantastic site compiles every ongoing student discount or deal in the country. This blog goes a step further by offering extra advice and guidance on things like bills, TV licensing and any industry developments which might make life slightly easier for students. There’s also plenty of fun stuff, tips, tricks and student related news on the blog too, like ‘Five bargain wines that actually taste good’ or ‘Student embeds oyster card in her fake nails’. Save The Student is another site every student should be visiting if they want to get the most out of each term’s student loan. This blog offers slightly more practical advice than Student Money Saver, as well as consumer advice on deals and products that students would be interested in. Recent posts range from ‘How to get hench on a student budget’ to ‘Sevem ways to cope with a cash crisis’. This site has something to offer any student with its actionable approach to blogging. Check it out and see what savings you could be making. Milkround is a great graduate careers website which many graduates use once they enter the big bad world of employment. The site also has a great blog which covers a range of different topics. Recent posts include ‘the dissertation survival guide’, ‘the reality of student accommodation’ and ‘personal statements and writer’s block’. There’s plenty of great advice here whether you’re in your first or third year, so if you’re concerned about life after you graduate or just unsure what to do with your summer, this blog could really help. Another great careers-focused blog exists on Graduate Fog. Their consistent stream of posts discusses all of the latest news that affects the graduate jobs market. They also post regularly about subjects which plenty of students and graduates often find confusing such as internships and recruitment agencies to help you make the best personal decisions later down the line. One industry which thrives on the advancement of the web, mobile technology and social media is marketing and PR. It’s for this reason that this blog will be helpful to many students. Arianne is a recent graduate of PR & French who began a blog about her progress into the world of PR. This blog discusses all of her university experiences and even life after graduating, which is great for other students looking to get into the industry, as you can read a first-hand experience of how to progress from uni to a graduate job. The blog has a category called ‘work experience’ which is particularly helpful to first and second-year students who can see what kinds of placements can further your career later down the line. This student blogger was inspired to write about her experiences after being one of the first university years that had to pay the increased tuition fees of £9,000 per year. Chloe-Ellen is entering her last year of an Actuarial Science degree and her blog began as a mostly food based platform, showing students the sort of delicious food they can make when on a tight budget. However, over her university experience, the blog has evolved to include posts on beauty, travel and more recently wedding planning and advice as the author gears up for her big day. Rachel Hosie runs a lifestyle blog which covers everything from travel, beauty, recipes, student life and careers, and don’t fret too much, there’s still plenty of handbags and cupcake posts. Despite having finished university, now pursuing a career at a magazine in London, Rachel’s constant flow of great content really appeals to students. Her blog began while she was at university, so all of the posts are very relatable and helpful for current students. It is also refreshing to read career advice from a recent graduate, something much more relatable for a current student to read. Created by a Scots and English law student, this extremely thoughtful blog covers many topics that other students can relate to. Ranging from journalistic advice to mindfulness, fashion to entertainment, this blog is great for those students looking to learn and discuss a topic rather than simply read information. This is certainly one of the most prolific blogs on this list, sticking to a structure of three posts every week. Mondays are for topics based on “human observation”, Wednesday’s blog post tackles “Health and Lifestyle” and Saturday’s varies. Angie currently studies classics, so while she’s not interpreting Greek or Latin, she’s putting together this very insightful blog. 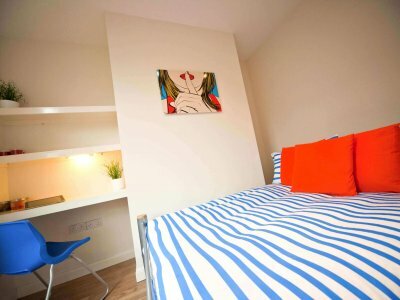 The (Un)Enlightened Student is packed full of great content which ranges from thought-provoking socio-political discussion to advice on improving your halls of residence bedroom. However, there’s plenty more than that. Angie is a self-confessed “amateur photographer” and you can find a link to her Instagram page via the blog. She also posts her Spotify playlists, a recent example being a study playlist, which might help you out too. This great blog was created by author Abbie, who has just this summer graduated from a sociology degree at the University of Warwick. Initially, she planned the blog to be a student help blog, however, it pretty rapidly became a lifestyle platform. Abbie has three categories of blog content; lifestyle, university and beauty. While this is a lifestyle blog, she has managed to keep the original idea of helping students alive. For example, this summer she posted blogs titled ‘Dissertation Tips’, ‘Become a Morning Person’ and ‘Things to do at the Weekend’. Alice is 23 and a recent graduate from a postgrad degree in broadcast journalism. As a self-confessed “girly-girl” and “a lover of all things fashion, beauty, food and travel” her blog covers all of her areas of interest. If your tastes align with Alice, then you’ll absolutely love her blog. From tips on packing holiday toiletries to interviews with stars from The Only Way Is Essex, Alice provides the blog equivalent of Cosmopolitan or Hello magazine. Laura is a recent graduate hailing from Manchester who works in online marketing and social media. However, as well as her day job, she puts together a wonderful lifestyle blog which she started as a student. While this blog covers the expected cosmetics and latest fashions, it also has Laura’s “drama queen” at heart. Posts like ‘The Confessions Of An English Drama Queen’s View On New York City’ give her a platform to vent about things she disliked. Posts like this are great for those of you who either have taken a year abroad or enjoy travelling outside of term. George is a 20-year-old student entering his second year studying Drama in the Community undergraduate at Bishop Grosseteste University in Lincoln. He understands that from the moment we finish our GCSEs, advice is vitally important, especially from those who have recent experience. This blog offers up really straightforward advice about surviving and enjoying your time as a student. There’s advice on summer jobs, how not to worry about grades, how to keep fit and healthy and also guest blogs discussing student cooking and other topics. While the posts here are perfect for any student, they are particularly great for first years, who are still getting their head around the university experience. Stacey is a mature student (27) at Anglia Ruskin University Cambridge studying Crime and Investigative studies. While her blog is a lifestyle blog, it differs from many others on this list. Most of her posts focus on travel, technology and relatable health issues (especially for students) like insomnia. On top of these topics, you’ll also find plenty of great posts on fashion and makeup. Her Wanderlust series of posts are particularly appealing if you enjoy travel. She gives a detailed account of every city she visits abroad, perfect for those of you wanting to know more about a potential exchange city or locations for next summer’s inter-railing trip. Previously known as Life and Times of a Student, this blog has evolved as author Issy recently graduated from Keele University. As someone perfectly positioned at the end of her university life, Issy offers advice to students in each of their three years of study. If you haven’t yet decided on your university, or want to compare other university experiences, check the section titled ‘Student Life Interviews’ which has short reviews on different UK universities from students who attended them. She also posted her ‘Day Zero Challenge’ which is 101 tasks to achieve within 10001 days, a great challenge for any first year to start and finish by their third year. Emily Underworld is a lifestyle blog created by Emily, a Classics student in London. She lists that her interests include Kurt Cobain, Tim Burton films and Nintendo games, so if you love any of these things, there’s a good chance you’ll enjoy her blog. In her regular posts, Emily discusses music, technology (new and vintage), fashion, beauty and even reviews books. There’s lots to enjoy here so if you like your blog posts upbeat and your content alternative, Emily Underworld is worth checking out. Male lifestyle blogs are generally slightly harder to come by than female ones. However, one which is well worth a visit is The Jack Experience. Jack is a blogger and vlogger, who produces fun, helpful and relatable posts from revision tips to skiing survival guides, from themed playlists to workout routines. Regardless of your gender or tastes, Jack has a bit of something for everyone. Since becoming a vegetarian at the age of five and later discovering both a severe allergy to nuts and negative reactions to dairy, Lilybee has taken to the blogosphere to open up students and the health conscious to the delicious possibilities of a vegan diet. The site is filled with beautifully composed images of all of her recipes which will have your mouth watering before you even know what meal it is. The recipes themselves are very detailed and offer plenty of suggestions of places to buy the ingredients, which you unsurprisingly might not find in ASDA. Elly confesses that as late as the age of 17 she was “notoriously picky” when it came to eating. However, after a waitressing job at a local restaurant before she left for university, she fell head over heels for the weird and wonderful world of cuisine. Starting a recipe blog during her English literature degree at Oxford University, her delicious recipes have continued to generate success. In fact, in June 2016 Elly won the prestigious Food Blog of the Year award at the Guild of Food Writers awards, so you know you’re learning from the very best. She also covers eating abroad, in some student travel hotspots such as Thailand, Vietnam, Cambodia and Indonesia, so take a look before you head away for the summer. For those students obsessed with food, there are few blogs as mouthwatering as Living Off Caffeine and Glitter. Created by Jordan, a Classical Studies graduate from the University of Bristol who now lives in Manchester, this blog explores her passion, great food. Jordan posts her own yummy recipes, reviews restaurants she’s visited, talks about food events and exhibitions and provides suggestions for meals and restaurants to check out. 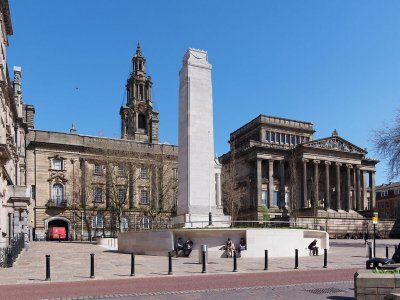 Her reviews and suggestions don’t just stay within Manchester either, she has advice on great food from all around the country as well as places she’s visited on her travels. Trying to lead a healthy life while at university can prove to be difficult. Many of us fall into the vicious circle of alcohol and pizza which is pretty difficult to escape. It’s also easy to feel alienated from the increasing world of healthy eating. Thankfully, for those who want to live a little healthier without investing their term’s loan on protein and health supplements, there’s The Healthy Hangover. Here you’ll find a consistent stream of delicious and easy to make recipes for students who both enjoy the nightlife of their city and live on a tight budget. You’ll also find plenty of advice on how to save money on your shopping as well as restaurant reviews. While some blogs merely feature fashion semi-regularly, Tie Dye Eye is fully committed to the world of fashion and how to enjoy it as a student. Allie is a recent fashion graduate and her blog is the perfect space to keep up to date with the latest styles hitting our high streets. She understands that shopping for new outfits as a student isn’t always the easiest, and that’s why the majority of her posts feature clothes and accessories from high street shops instead of designers. She also puts together lots of helpful DIY tutorials for hair and makeup as well as advice to help you turn those old rags into something current and fantastic looking. If you are looking for advice on the latest products and treatments, look no further than Chasing the Impossible. Just a quick scan down the content filled blog and you will quickly realise that Katie Paskin really is an authority on Beauty products. As a student, there are some parts of the weekly shop which we have to reign in the spending on, cosmetics being one of them. Fortunately, this blog looks at all of the slightly cheaper options to show you the potential alternatives to your more expensive current choices. Whether you’ve planned a gap year, an exchange year or just fancy a couple of months travelling in the summer, the experience of travel is one enjoyed by many students. College Tourist is the perfect place for both students looking to learn more about certain destinations, and those who want to talk about their unique experiences abroad. From advice on budgeting while abroad to lists of the ‘must see’ attractions around the world, there’s so much here for potential and experienced travellers. You can also submit your own posts offering advice or simply discussing your own experiences abroad. Go Abroad is a fantastic website which offers advice on volunteering, interning, teaching and studying abroad. Its study abroad blog is a great place for students considering a study year abroad to learn from other students who have recently done it. This blog covers every corner of the world, so no matter where you’re considering studying, there will be info on it. If you want to share your experiences of studying abroad, you can also apply to write for the site. Being an international student can be difficult at times. Yes, there are plenty of opportunities to integrate with other international students, but to get the most out of studying abroad, you need to try and engross yourself with the new culture you find yourself in. A great blog to gain information and advice on succeeding when studying abroad is the International Student Blog. The content of this blog is diverse, from important information on travel documents and visas to tips on travelling cheaply in different countries. There is a really helpful section dedicated to international students planning to move to the UK which you can see here. 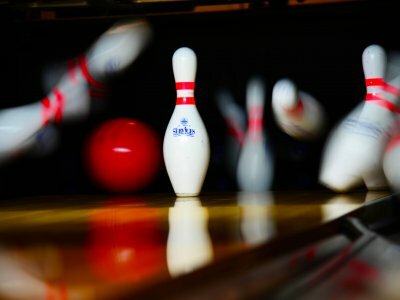 This relatively niche blog might not appeal to everyone but may prove to be an excellent platform for some. This blog follows the progress of a medical student as they make their way to their end goal, becoming a doctor. This blog discusses the author’s experiences of working in A&E, how they succeed in learning new procedures and even the occasional political post expressing their views on the NHS. Working in the medical profession can be exhausting and lonely for some, so this blog can provide a much-needed piece of comfort that you’re not alone in finding things challenging. For medical students, the university experience is very different to everyone else’s. For one medical student living in a house full of history, sports and science students, the whole experience can feel a little lonely. It’s for this reason blogs like Student Nurse Dani can be really helpful. Dani blogs about all of her experiences as she makes her way through a child nursing degree, telling of all the trials and tribulations the job brings. While this blog might not be for everyone, it is a great place for fellow nurses and other healthcare students to feel part of a wider community and share her similar experiences. This fascinating blog is perfect for the popular culture obsessives among us. Sam posts detailed blogs discussing the impact of the many different forms of pop culture, from the latest music, social media, TV and cinema. Recent posts have tackled the significance of characters in the long-running Simpsons, new and emerging bands and artists and profiles on the career of certain actors and actresses, most recently Winona Ryder. If you love new music, television and film, this is certainly the blog for you. A perfect space for any creative writing or film student, the Student Film Review was set up two years ago, by film student Tom who wanted a place to discuss his passion, cinema. On this blog, you can read his reviews of new releases, retro classics, a must-watch list and his best and worst lists. For first or second year students that are interested in film, film criticism or journalism, this blog serves as a great example of how to turn your passions into something concrete and potentially job worthy later once you graduate. 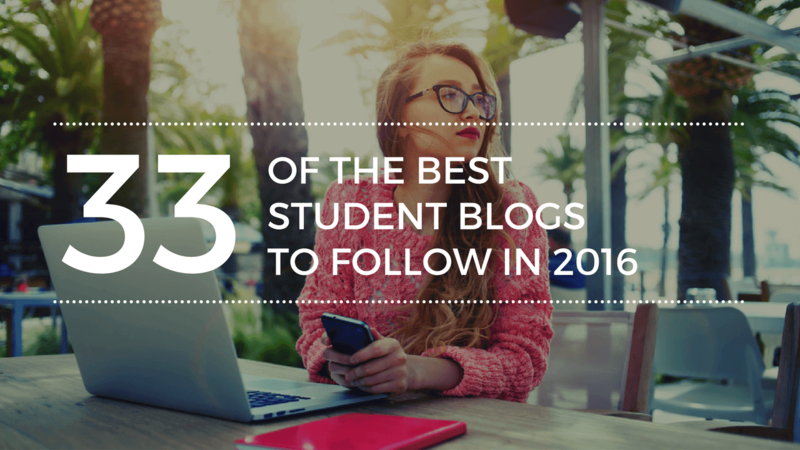 Are you one of our top student bloggers? We’ve created a lovely little badge to help you share the news with your fans!